Welcome to a new series of blog posts! In this series, we'll dive once more into the world of TrustZone, and explore a new chain of vulnerabilities and corresponding exploits which will allow us to elevate privileges from zero permissions to code execution in the TrustZone kernel. This may sound familiar to those of you who have read the previous series - but let me reassure you; this series will be much more exciting! 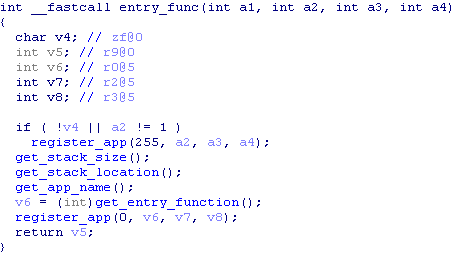 First of all, this exploit chain features a privilege escalation which is universal across all Android versions and phones (and which requires zero permissions) and a TrustZone exploit which affects a very wide variety of devices. 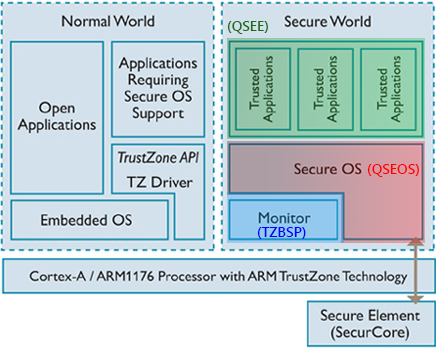 Secondly, we will dive deep into an as-of-yet unexplored operating system - QSEE - Qualcomm's Secure Execution Environment. Lastly, we'll see some interesting TrustZone payloads, such as directly extracting a real fingerprint from TrustZone's encrypted file-system. You can find the exact factory image here. 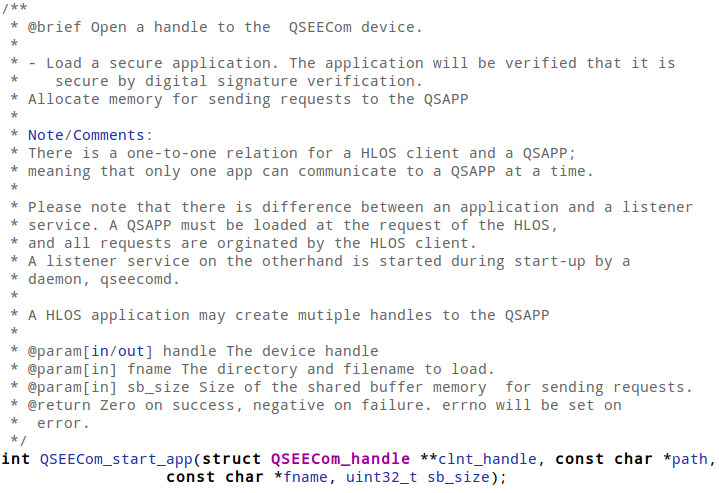 In this blog post, we'll explore Qualcomm's Secure Execution Environment (QSEE). 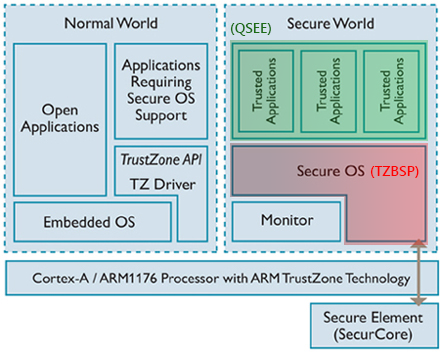 As we've previously discussed, one of the main reasons for the inclusion of TrustZone on devices is the ability to provide a "Trusted Execution Environment" (TEE) - an environment which should theoretically allow computation which cannot be interfered with from the regular operating system, and is therefore "trusted". This is achieved by creating a small operating system which operates solely in the "Secure World" facilitated by TrustZone. This operating system provides a small number of services directly in the form of system calls which are handled by the TrustZone kernel (TZBSP) itself. 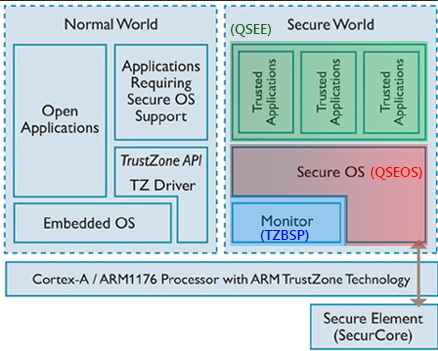 However, in order to allow for an extensible model where "trusted" functionality can be added, the TrustZone kernel can also securely load and execute small programs called "Trustlets", which are meant to provide a secure service to the insecure ("Normal World") operating system (in our case, Android). keymaster - Implements the key management API provided by the Android "keystore" daemon. It can securely generate and store cryptographic keys and allow the users to operate on data using these keys. widevine - Implementation of Widevine DRM, which allows "secure" playback of media on the device. In fact, there are many more DRM related trustlets, depending on the OEM and the device, but these two trustlets are universally used. Naturally, one place to start would be to look at a trustlet of our choice, and to try and understand what makes it tick. Since the "widevine" module is one of the most ubiquitous, we'll focus on it. Apparently the trustlet is split into a few different files... 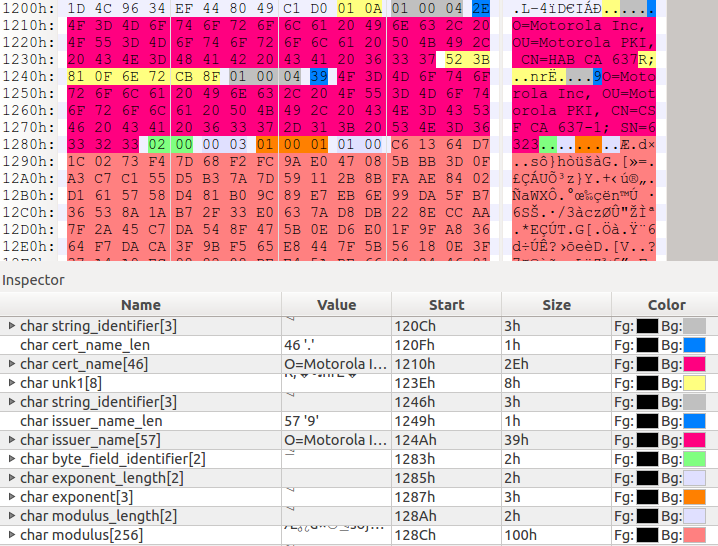 Opening the files reveals a jumbled up mess - some files contain what looks like code, others contain ELF headers and metadata. In any case, before we can start disassembling the trustlet, we need to make some sense out of this format. We can either do this by opening each of the files and guessing the meaning of each blob, or by following the code-paths responsible for loading the trustlet - let's try a little of both. Calculates the number of ".bXX" files using the 0x34 bytes from the ".mdt"
So, still no luck on exactly how the images are loaded, but we're getting there. Moreover, the "QSEECOM_start_app" function we just had a look at used the word at offset 0x2C in order to calculate the number of ".bXX" files. 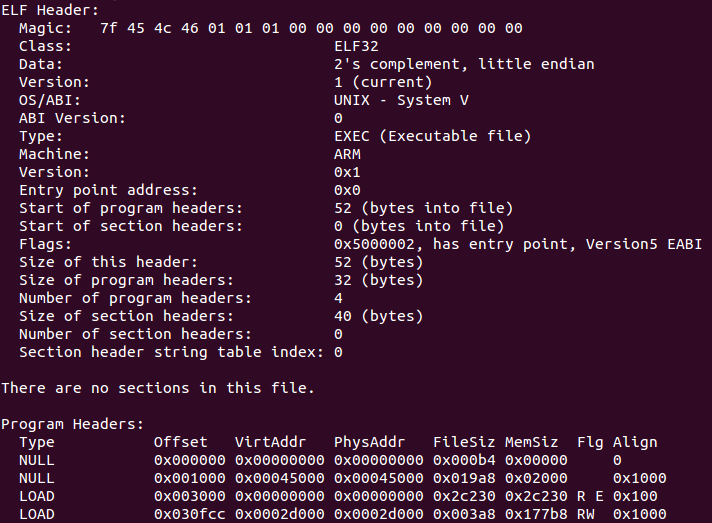 As you can see above, this corresponds to the "e_phnum" field in the ELF header. Since the "e_phnum" field is usually used to specify the number of program headers, this hints that perhaps each of the ".bXX" files contains single segment of the trustlet. Indeed, opening each of the files reveals content the seems like it may be a segment of the program being loaded... 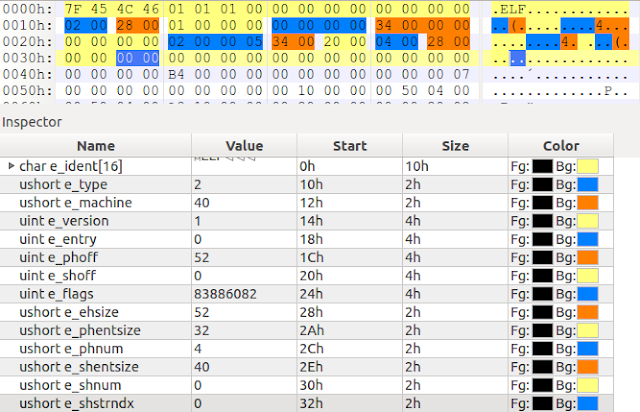 But in order to make sure, we'll need to find the program headers themselves (and see if they match the ".bXX" files). Looking further, the next few chunks in the ".mdt" file are in fact the program headers themselves, one for each of the ".bXX" files present. And, confirming our earlier suspicion, their sizes match the sizes of the ".bXX" files exactly. Great! Note that the first two program headers above look a little strange - they are both NULL-type headers, meaning they are "reserved" and should not be loaded into the resulting ELF image. Strangely, opening the corresponding ".bXX" files reveals that the first block contains the same ELF header and program headers present in the ".mdt", and the second block contains the rest of the ".mdt" file. 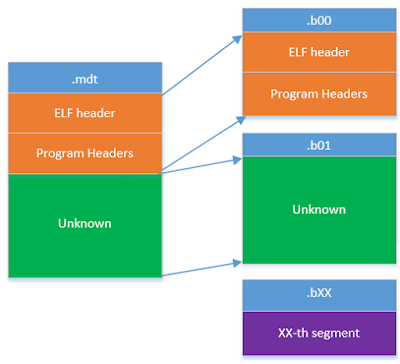 At this point we have all the information we need in order to create a complete and valid ELF file from the ".mdt" and ".bXX" files; we have the ELF header and the program headers, as well as each of the segments themselves. We just need to write a small script that will create an ELF file using this data. By now have a basic understanding of how trustlets are assembled into an executable file, but we still don't know how they are verified. However, since we know the ".bXX" files contain only the segments to be loaded, this means that this data must reside in the ".mdt" file. So it's time for some guesswork - if we were to build a trusted loader, how would we do it? One very common paradigm would be to use hash-and-sign (relying on a CRHF and a digital signature). Essentially - we calculate the hash of the data to be authenticated and sign it using a private key for which a corresponding public key is known to the loader. Let's start by looking for a certificate chain. There are way too many formats for certificates, but since the ".mdt" file only contains binary data, we can assume it'll probably be a binary format, the most common of which is DER. Yup, we guessed correctly - those are certificates. As for the root of trust of this chain - looking at the root certificate in the chain reveals the same root certificate which is used to verify all other parts of the boot chain in Qualcomm's "Secure Boot" process. There has been some research about this mechanism, which has shown that the validation occurs by comparing the SHA256 of the root certificate to a special value called "OEM_PK_HASH", which is "fused" into the devices QFuses during the production process. Since this value should theoretically not be modifiable after the production of the device, this means that forging such a root certificate would essentially require a second pre-image attack against SHA256. Now, let's get back to the ".mdt" - we've found the certificate chain, so now it's time to look for a signature. Normally, the private key is used to produce a signature and the public key can be used to recover the signed data. Since we have the public key of the top-most certificate in the chain, we can use it to go over the file and opportunistically try to "recover" each blob. But how will we know when we've succeeded? Recall that RSA is a trapdoor permutation family - every blob with the same number of bits as the public modulus N is mapped to another blob of the same size. We've found a signature! Great. What's more, this signature is 256 bits long, which implies that it may be a SHA256 hash... And if there's one SHA256 in the ".mdt", perhaps there are more? As we can see, the SHA256 hashes for each of the ".bXX" files are also stored in the ".mdt", consecutively. We can also make an educated guess that this will be the data (or at least some of the data) that is signed to produce the signature we found earlier. 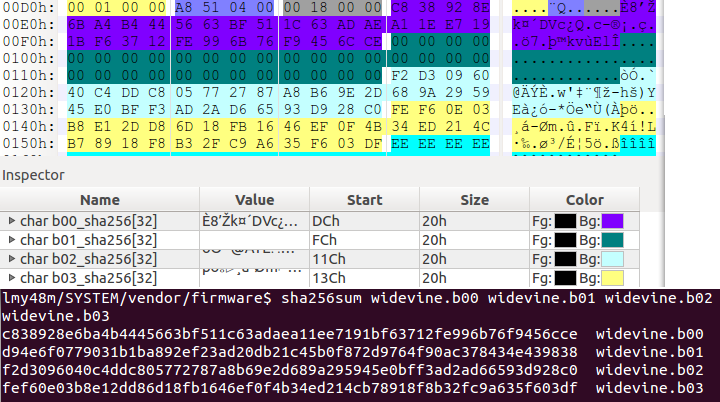 Note that the ".b01" file's hash is missing - why is that? Remember that the ".b01" file contains all the data in the ".mdt" other than the ELF header and program headers. Since this data also contains the signature above, and the signature is (possibly) produced over the hashes of the block files, this would cause a circular dependency (since changing the block file would change the hash, which would change the signature, which would again change the block file, etc.). So it makes sense that this block's hash wouldn't be present. So finally, we've decoded all of the information in the ".mdt"... Phew. Although the ".mdt" file format we've seen above is universal for all OEMs, Motorola decided to add a little twist. So how is the image verified? For more information about this mechanism, you can check out this great research by Tal Aloni. 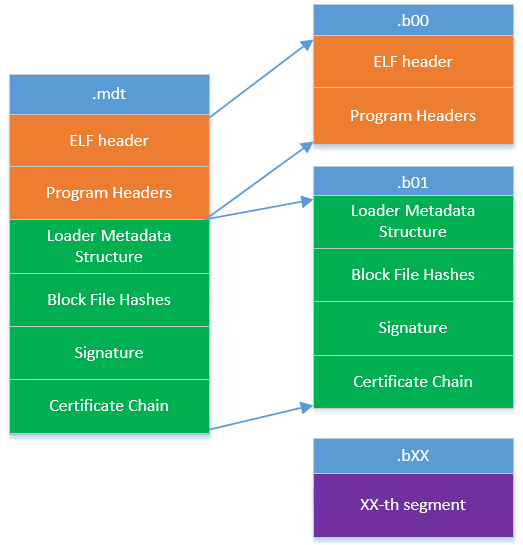 In short, the ".mdt" is hashed and signed using the top-most key in the certificate chain, while the root certificate in the chain is verified using a "Super Root Key", which is hard-coded in one of the bootloader's stages. 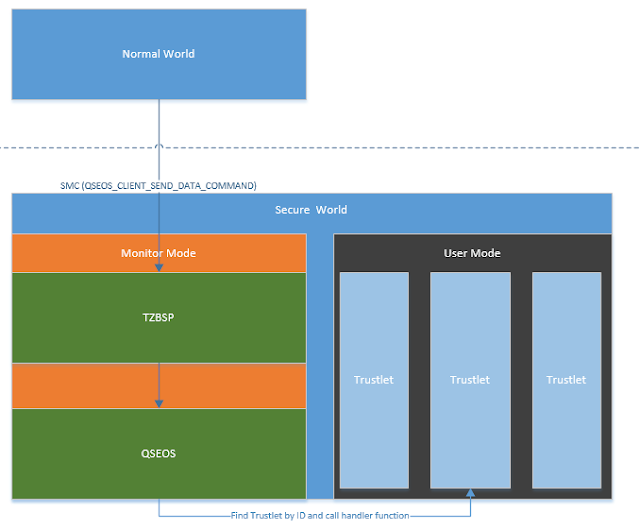 After the verification process we saw above, the TrustZone kernel loads the trustlet's segments into a secure memory region ("secapp-region") which is inaccessible from the "Normal World" and assigns an ID to it. As you can see, the trustlet registers itself with the TrustZone kernel, along with a "handler function". After registering the trustlet, control is returned to the TrustZone kernel, and the loading process finishes. 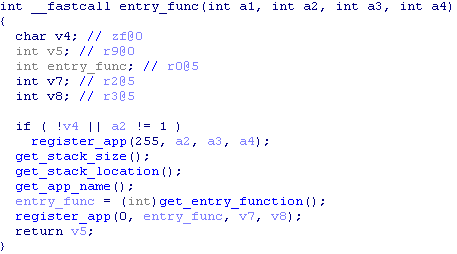 The TrustZone kernel (TZBSP) receives the SCM call, maps it to QSEOS, which then finds the application with the given ID and calls the handler function which was registered earlier (from "Secure World" user-mode) in order to serve the request. Now that we have some understanding of what trustlets are and how they are loaded, we can move on to the exploits! In the next blog post we'll find a vulnerability in a very popular trustlet and exploit it in order to execute code within QSEE. I'm waiting for the next post and in the meanwhile I hope you get some time to release the code for standalone version (without the kernel modification) of the older trustzone exploit :). As I understand from the post, trustlets execute in a separate usermode inside QSEE. Can exploiting a trustlet lead to possible bootloader unlock? Since it's just a QSEE usermode application the possibly don't have access privileged instructions like blowing a qfuse right? 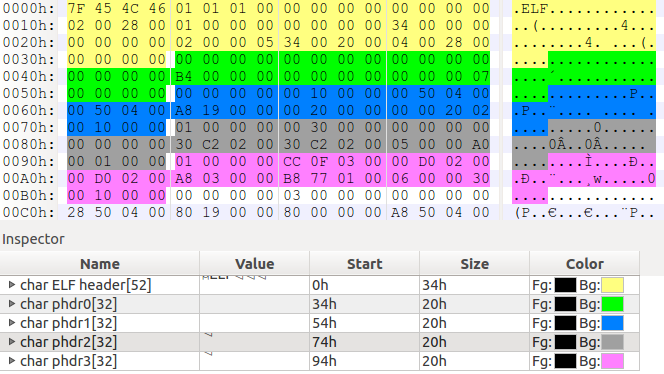 The hex-editor looks like 010 editor, probably running on linux. First of all, thank you! Glad you enjoyed the post. It relies on the previous kernel exploit (https://github.com/laginimaineb/cve-2014-4322/tree/master/Feud/jni) to get kernel code execution, and then dynamically finds the needed kernel symbols and does all the work without needing a kernel module. You should definitely check out Ghassan's version as well! I just found out about it, but looking at the code it looks very clean and easy to use. Finally, as shuffle2 mentioned below - yes, I am using 010editor on Linux (which I highly recommend! It's a fantastic tool). Great :D Thanks all you guys for all the help and sources. I waiting for the next post. Just wanted to drop a note and say: you have done some really great work here. It is funny how reversers often know more about the nitty gritty details of a company's product than they themselves seem to. I have also been enjoying the follow up articles on exploitation immensely. Keep up the great work! Thank you Eric, It means a lot to me! Very good! Enjoyed reading it, looking forward to new posts. Could this exploit be used on a snapdragon 820? Or is it only limited to the 800 and the 810? "Normally, the private key is used to produce a signature and the public key can be used to recover the signed data"
Please, could you explain me how you recover the signed data with the public key? It's the first time I heard about it. "This means that if we try to "decrypt" a blob using our public key[...]"
What do you want to mean by "decrypt"? 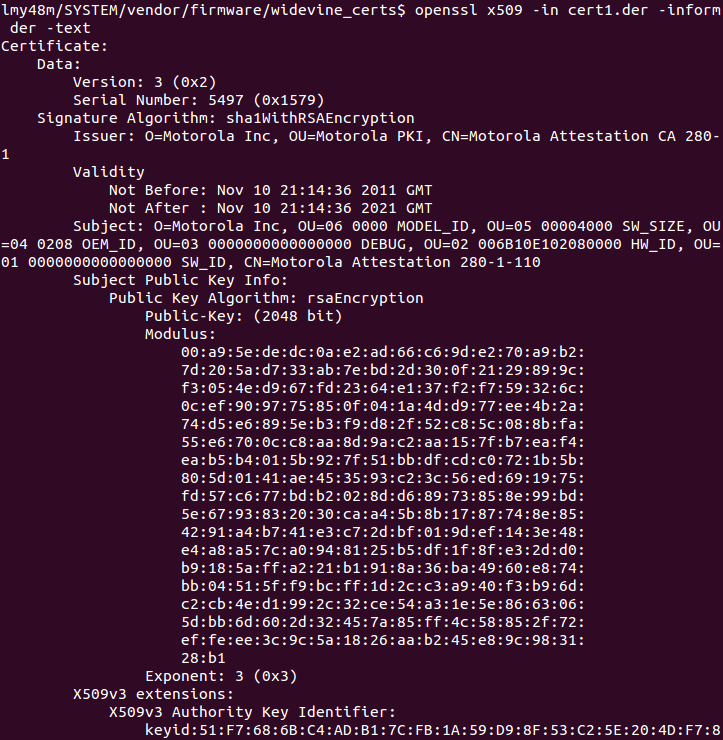 Again, it's the first time I heard about using a public key RSA to decrypt data. I do not understand quite well your process of looking for the signature, what does trydec function do? Could not you to try to do it by brute force? Sign-hash blob files with several hash functions and the public key and then looking for the result on the .mdt binary data? Maybe the problem is that I am a mathematician (...XD) trying to get your work. Thank you again and waiting for more post! As for you question - the main problem here is terminology regarding RSA. First, the mathematical definition of RSA is a trapdoor permutation family. Let's say we have the public exponent e, private exponent d and modulus N.
Now, for each message m in Zn*, applying m' = (m^e) mod N is a onto one-to-one mapping into Zn*. Recall that we chosen e,d such that e*d = 1 (mod phi(N)). This means that by applying the permutation (m' ^ d) mod N = ((m^e) ^ d) mod N = (m ^ (e*d mod phi (N))) mod N = m (mod N). So applying the reverse permutation allowed us to retrieve the original message m.
Now - people often refer to RSA as an encryption scheme. It isn't (because it's not CPA-secure, as it's completely deterministic). But you *could* think of it as encryption in the sense that after permuting a message with the public exponent, it's hard to retrieve the message without knowing the private exponent. In that sense, we can say that the operation (m^e) mod N is public-encryption and (m^d) mod N is private-decryption. The inverse is also true (since RSA is symmetric with regards to e,d). So we could say that (m^d) mod N is private-encryption and (m^e) mod N is public-decryption. Next comes an important primitive that is often used with RSA - signing. Imagine you have a message and would like to guarantee it was produced *only* by someone who knows the private exponent. You could do this by applying the permutation using the private exponent - that is, for each message m, produce (m^d) mod N. We just called this operation "private-encryption" in the previous paragraph, but when using RSA as a signature scheme, we could call this operation "signing". So... how is this useful at all? Well, someone with the public exponent can apply "public-decryption" on the message, and by the commutativity of multiplication: (m' ^ d) mod N = ((m^d) ^ e) mod N = (m ^ (d*e mod phi (N))) mod N = (e*d mod phi (N))) mod N = m (mod N). So anyone with the public key can use this to retrieve the message m from the signature. We'll call this operation "verify". Finally, if we already have a signature block produced using the private exponent, and we know the signed message has some unique structure, we can scan each block and attempt to perform RSA-verification ("public-decryption") on every block. This will produce some message m' - if it matches the structure we know, it is (other than a negligible probability) our signature block. Thank you by your quick response. I know what involves RSA cryptography, part of my daily job is related with crypto issues. The thing was that this was the first time I read the concept of encryption when you want to refer to signing, but I agree is just terminology. Therefore, what I understand is that when you write "we try to "decrypt" a blob using our public key" what you are looking for is a hash value. Because what has been "encrypted/signed" should be a hash value. That's the way signing process works. Then, what is the output of your TryDecrypt function, the hash value of some of the blocks? How did you choose the m message along the .mdt binary to perform the "decryption"? As for the actual value that is signed - it's actually special version of HMAC-SHA256 (w/ a different i_pad and o_pad) over all the block files' data, concatenated. But you can outright ignore that and still find the signature block. 1. The signature is 2048 bits long, while the HMAC-SHA256 is only 256 bits long. If we simply use RSA-public-decrypt w/ the appropriate padding on each 2048-bit block, we'll get a 2048 bit result. For each randomly-chosen block, the resulting block's bits will be roughly uniformly distributed (since RSA is a trapdoor permutation). But we know that in the signature blob the first 2048-256 bits will be zero (remember this is after removing the padding). The chances of that happening in uniformly distributed message is negligibly small 2^(-1792). So all TryDecrypt does is iterate over each block, use "RSA public decrypt" w/ the appropriate padding, and check if the resulting block starts with a bunch of leading zeros. Look for vulnerabilities on non-public things is quite exciting, but have you try to check how good is the implementation of public TEEs such OP-TEE? Will you participate at any security conference to talk about this? Sorry for the late response! I missed your response. I am trying to follow your post and reverse widevine trustlet(and if needed libQSEECom.so for the loading part). Is there a easy way to locate the entry function for the trustlet being loaded? Do I have to look at the libQSEECom.so ? Thank you! I think the easiest way is to disassemble the first function (func_0) and look for the function the returns a function pointer. That function pointer points to the entry function. Alternately, you can just search for the Widevine commands (such as PRDiag*) and work backwards from there using XREFs. "So let's search for these two bytes in the ".mdt" and save each found blob into a file." How could you know the length of these blobs? I didn't, but you can save the blob from the match index until the end of the file, and asn1parse will stop at the end of the ASN1 data. Could you share the script to "decrypt" the 2048-bit signature blob? I searched the Internet but most of them work on certificates with certain formats, rather than raw-data parameters. I didn't do anything fancy - I simply used OpenSSL's RSA_public_decrypt (https://www.openssl.org/docs/man1.1.0/crypto/RSA_public_decrypt.html) for the "decryption". To get OpenSSL to load the public key, I did write a small PyCrypto script to define the public key from the parameters (e,N) using RSA.construct (https://www.dlitz.net/software/pycrypto/api/current/Crypto.PublicKey.RSA-module.html#construct), and then saved them to a PEM. How do you get to the trustlets in the first place? Using the link to the shamu firmware that you provide I find a system.img file in which I assume the widevine trustlet exists, but I cannot continue from here. How did you get to the actual file? when i use the QSEECom_start_app,return an error :QSEECom_start_app(.., '/firmware/image/', '***', 1048640) = 'Invalid argument'. Want to watch live tv on your Android smartphone then download Solid streamz for free. Solid streamz provides access to thousands of channels which you can stream anywhere anytime. Nice article. You may also like Spotify Cracked Apk if you love listening to songs online.